Sixty naval men from England, Ireland, Scotland and Wales died on 11 or 12 November 1917. 6 of these men were only teenagers, 30 were in their 20s, 16 in their 30s, and 8 were 40 or over, including one man who was 64 years old when he died. These men are buried in Northern Ireland (1), Palestine (2), Belgium (4), France (1), Malta (1), England (4) and Egypt (1). 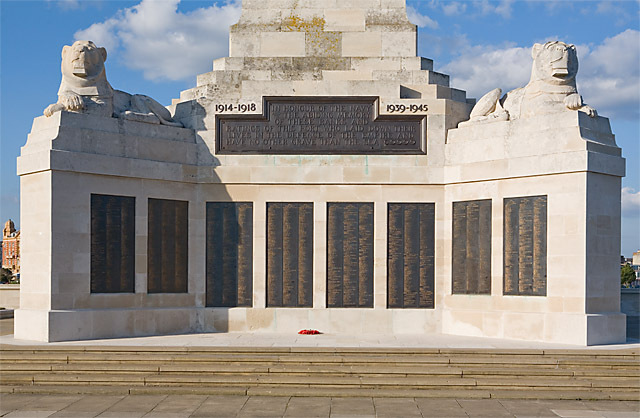 The remaining 46 men are remembered on either the Portsmouth, Chatham or Plymouth Naval Memorial as their bodies were never recovered. On 11 November 1917, HM Trawler Thuringia, HMS M15 and HMS Staunch were sunk by U-boats, accounting for 48 of the naval men killed in action. 8 men died on 11 November 1917 and 4 men on 12 November 1917 from wounds, illness or accident. These men were from all parts of the Royal Navy fighting on land, at sea and in the air – they were regulars, reservists, volunteer reservists, air service, royal marines and mercantile marine. 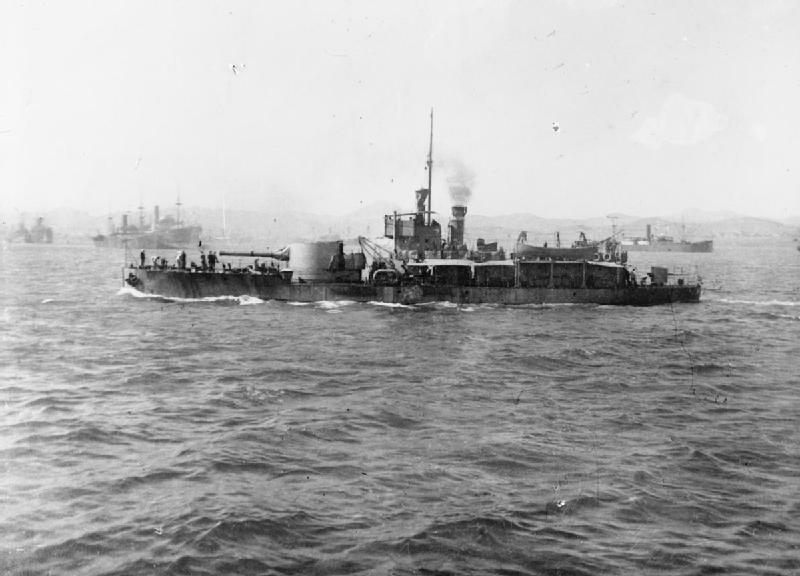 Monitor HMS M15 and the Acorn-class destroyer HMS Staunch were torpedoed by U-38, on 11 November 1917, after bombarding Gaza as part of the Third Battle of Gaza. Losses from HMS M15 were: 26 men (22 RN, 1 RNVR, 1 RNR and 2 RMLI) and 8 RN men were lost from HMS Staunch. Petty Officer Stoker William Edward Benham, 48. Born Gosport. Able Seaman Norman Birch, 23. Born Sale, Cheshire. Shipwright (1st) Albert Cecil Chatel, 32. Born Portsmouth. Leading Cooks Mate Oliver Wilson Christie, 26. Born Brighton. Private Arthur Percy Cooper, 23. Born Winton, Dorset. 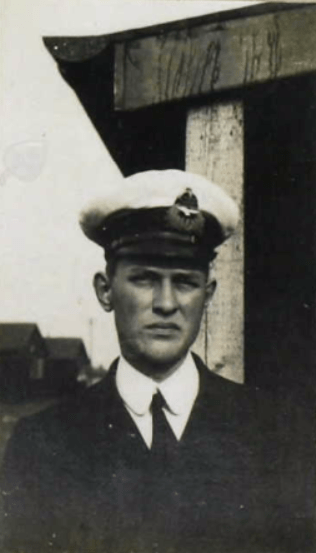 Leading Seaman Edgar Strugnell Cooper, 41. Born Portsea. Armourer’s Mate Percy Ernest Foot, 36. Born Southampton. Able Seaman Modesto Gispert, 24. Born London. Seaman Benjamin Grant, 32. Born Wick. Able Seaman William Frank Hughes, 24. Born London. Chief ERA (2nd) John Osborne Mattison, 29. Born Midlothian. Leading Seaman George Henry Norcott, 22, Born Essex. Ordinary Seaman Cecil Henry Norman, 31, Born Guernsey. Private Alfred Simpson, 35. Born Hampshire. Able Seaman Ernest George Stewart, 21. Born London. Leading Stoker Henry Stride, 30. Born Southampton. Officer’s Steward (2nd) Alfred Talbot, 19. Born Herts. Able Seaman Frederick Edward Wilfred Tiller, 23. Born Southampton. Ordinary Seaman Robert John Tuttle, 33. Born Berkshire. Able Seaman Albert Victor Williamson, 29. Born London. Steward (2nd) George Alfiero, 17. Born Malta. Signalman Frank Crossfield Frizell, 21. Born Swansea. Stoker (1st) Frank Herbert Laurie, 27. Born London. Able Seaman Arthur Edward Ridgewell, 19. Born London. Able Seaman William Warwick, 20. Born Leicester. Able Seaman Tom Wass, 19. Born Wigan. ERA (1st) William George Hensley, 39. Born Berks. Petty Officer Stoker Walter Albury Bridger, 30. Born Sussex. Stoker (1st) David Thomas William Prior, 25. Born Cambridge. Stoker (1st) Leonard Arthur Spinks, 25. Born Norfolk. Stoker (1st) Reginald Thomas Alexander Swain, 20. Born Reading. Stoker (1st) Adolph Burdon, 38. Born Hartlepool. Petty Officer Stoker William Sharp, 35. Born Gateshead. 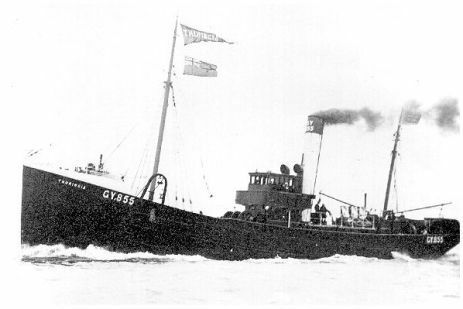 HM Trawler Thuringia sunk by the German submarine U-95 on 11 November 1917, off Youghal, Ireland. 14 Royal Naval Reservists were lost. Stoker Llewellyn George, 45. Born Narberth. Deck Hand Ernest Jenkins, 24. Born Swansea. Deck Hand Robert Sandham, 38. Born Fleetwood. Second Hand William Coates Alcock, 26. Born Hull. Deck Hand George Alfred Amis, 25. Born Norfolk. Trimmer George Patrick Anderson, 40. Born Hull. Deck Hand John William Blakelock, 34. Born Grimsby. Engineman William Cann, 47. Born Norfolk. Deck Hand William Hart Greenacre, 31. Born Norfolk. Deck Boy Albert Edward Grey, 17. Born Grimsby. Leading Seaman Charles Harris, 38. Born Liverpool. Trimmer Thomas Joseph Hurst, 29. Born Grimsby. Deck Hand William Noel, 26. Born Hull. Skipper Albert William Thornham, 46. Born Grimsby. Deck Hand Robert William Abbs, aged 27, RNR, HMS Vivid. Illness. Able Seaman Edgar J Evans, aged 26, RNVR. Born Swansea. RND (Hood Btn). DOW. Able Seaman John Jones, 30, RNVR, RND (Anson Btn). DOW. Born Bridgend. Buried Belgium. Seaman Colman Flaherty, aged 23, RNR. Born Galway, Ireland. SS Basil. Collision. Flight Sub-Lieutenant David Ross Kerr, 20, RNAS. Born Winnipeg, Canada. Admiralty 179 Dual Type tractor biplane, crashed and wrecked in UK. Fireman Robert Lynch, 31, MMR. Born in Belfast, Ireland. HMS City of Oxford. Illness. Stoker (1st) Robert Edward Cottrell, 24, RN. Born Kent, England. HMS Cyclamen. Illness. Leading Seaman Henry Glanfield, 32, RN. Born Cork. HMS Vivid. Illness. Chief Gunner (Ret.) Charles McCoy, 64, RN. Born Portsea. HMS Enchantress. Illness. Able Seaman Percival C Pitchforth, 19, RNVR, RND (223rd MGC). DOW. Buried Belgium. Serjeant Jack Bromiley, 22, RMLI, RND (2 RM Btn). DOW. Buried Belgium.